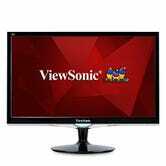 Game on with board game and PC gaming equipment Gold Boxes, plus save some money on Dyson vacuums and a whole lot more. 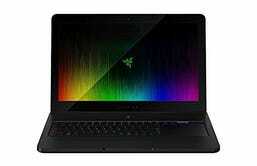 Amazon’s back at it again with another PC gaming-focused Gold Box deal, this time with great deals on monitors, motherboards, routers, and tons of full-on gaming laptops and PCs, including an all-time low price on this maxed out 17" Razer Blade Pro. 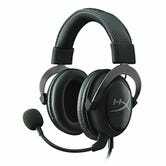 If you don’t feel like dropping nearly $4,000 today, there are a lot of other affordable luxuries in here, including the HyperX Cloud II headset for $70 (also compatible with PS4), Corsair’s Strafe mechanical keyboard for the same price, and a 24" gaming monitor with 2ms response for just $100. 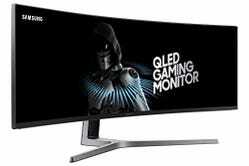 Oh yeah, that 49" curved Samsung ultrawide you saw on Cyber Monday? That’s back too. 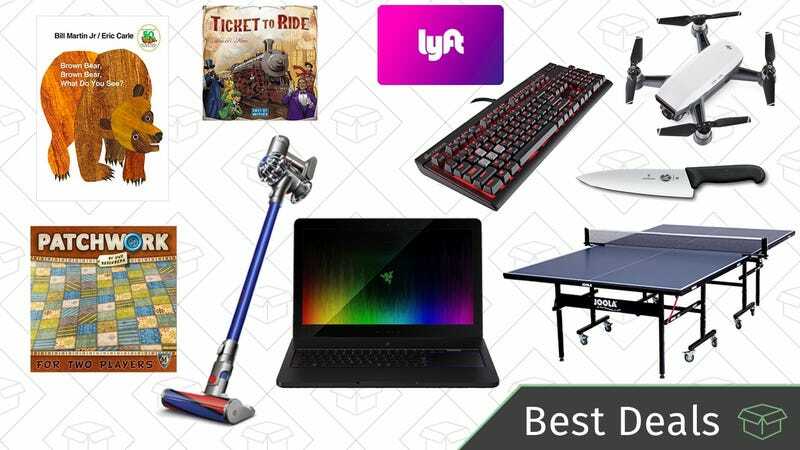 For the rest of the deals—and there are a lot of them—head over to Amazon. Paying a monthly modem rental fee to your ISP is about as financially prudent as spending a few Bitcoin on lunch in 2014, so if you haven’t already, today’s a great day to buy your own. 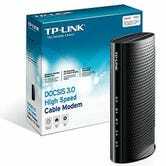 This 16x4 DOCSIS 3.0 model from TP-Link supports download speeds up to 680Mbps, which should be plenty fast for nearly every cable-based internet plan. 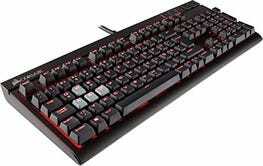 It normally sells for around $70, but you can get it for $55 today. 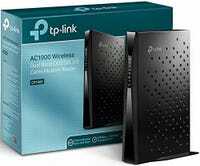 Some people want their modem to double as a router—It wouldn’t be my choice, but more power to you—and this 24x8 modem will get the job done for most moderately sized houses and apartments. The modem supports download speeds from your ISP of over 1000Mbps, so, yeah, it should be pretty future proof. Today’s deal is about $30 less than usual. 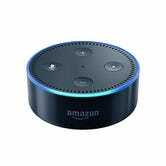 Just because you missed out on Black Friday and Cyber Monday doesn’t mean you can’t save on an Echo device this holiday season. 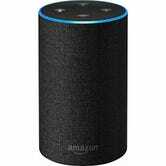 The Echo and Echo Dot speakers are both on sale for $20 off, and you can also buy two touchscreen-equipped Echo Shows for $310, a $150 savings (discount shown in cart after you add two). 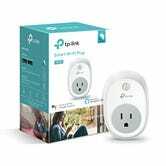 Plus, for every Echo you buy, you can add on a TP-Link Smart Plug for just $5. Just don’t forget to add it to your cart. If you’re more of a Google loyalist than an Alexa fan, you can still get the Google Home smart speaker for just $79 or a Google Home Mini for $29 for the holidays. DJI’s Spark is the most exciting new drone of the year, and this is the best deal we’ve seen on it to date, including Black Friday. $399 gets you the drone, an extra battery (worth about $45), and a $75 eBay gift card, while supplies last. The Spark is roughly the size and weight of those cheap toy drones you see out there, but with significantly better flight time and performance, an automatic follow-me mode, and most crucially of all, a gimbal-stabilized 1080p camera that shoots some seriously great footage. 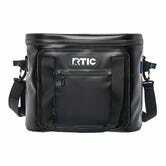 Know of anybody that’s planning to travel abroad and/or flee the country in the near future? This $10 international plug adapter is compact, and includes two USB charging ports in addition to a universal AC outlet. 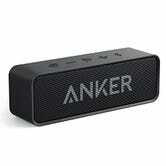 Just be sure to use promo code KINJA250 at checkout to get the deal. 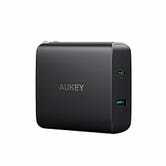 You can never have enough USB chargers, and a couple from Aukey are deeply discounted today. The more interesting of the two is this 46W USB-C Power Delivery charger for $28. That sits in-between the 29W charger that Apple ships with 12" MacBooks, and the 61W model that comes with the 13" MacBook Pro, but it’s of course far cheaper than both. 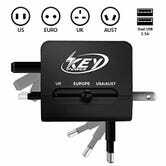 It also has a standard USB port, so you can charge your phone while your laptop or Nintendo Switch occupies the high power port. 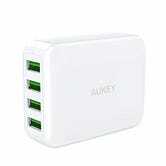 For $12, you can also pick up a four-port charger that’s great for travel. It only packs in 24W of total power, so if you plug something into every port, it’s going to be fairly slow, but it would still be great for overnight gadget charging. 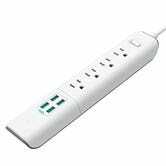 Half the things you plug in these days probably plug into USB ports, so it only makes sense for power strips to incorporate them. 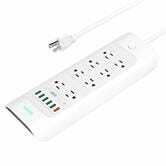 Today on Amazon, you can get an 8-AC outlet/6-USB strip with Quick Charge 3.0 for $29, or a 4-outlet/4-USB model for $16. Just be sure to note the promo codes. 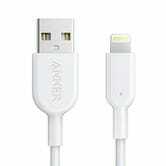 A really good Lightning cable is a great stocking stuffer for any iPhone owner, and two of the best are on sale right now. Your options are a 6' nylon-braided PowerLine+ cable for $13 (no code needed), or a 3' PowerLine II cable for $10 with promo code KINJA843. The braided shell of the PowerLine+ will feel nicer, but the PowerLine II comes with a lifetime warranty, so you can’t go wrong either way. 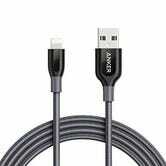 Both are offshoots of Anker’s reader-favorite PowerLine product line, and either one will make Apple’s first party cables feel like cheap toys. USB-C device owners, there’s a deal here for you too. For a limited time, Dyson’s eBay outlet is taking an extra 20% off any $25 order (maximum $50 discount) with promo code PHOLIDAY20, including vacuums, fans, and even hair dryers. They sell a lot of new stuff on eBay, but the best deals are on the refurbs. Either way, they’re sold directly by Dyson; this isn’t a sketchy third party situation. My pick is the refurbished V6 Motorhead for $176. I bought the V6 Animal a months ago, and it makes quick work of all the pet hair on our furniture. 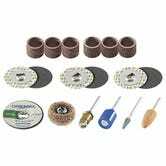 That same PHOLIDAY20 code will work with a number of other (admittedly less exciting) sellers as well, including Klymit, KitchenAid, Worx, and more, so check out the full list on this page. Update: Now up to $36, which is a decent price historically, but higher than it’s been for the last few weeks. 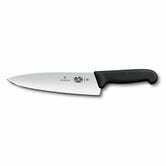 Victorinox’s Fibrox 8” chef’s knife is one of your favorite chef’s knives period, and by far the best value in the industry. It’s also the knife I’ve used almost every day for almost five years. 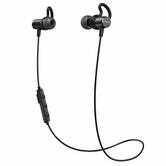 Amazon has it for $31 right now, which is an absolute steal for the quality you’re getting. 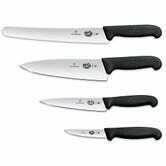 You can also get a four-knife Fibrox set for $104, if you want to upgrade your entire collection. 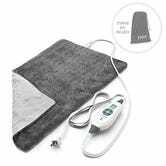 This extra large heating pad has six temperature settings, comes in two colors, and boasts an impressive 4.3-star rating with almost 3,000 reviews. It typically sells for $35, so today’s price of $28 is a sizable discount and the lowest price we’ve ever seen. 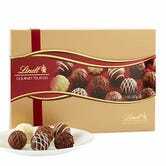 These assorted Lindt chocolate truffles are all 15% off when you clip the coupon. 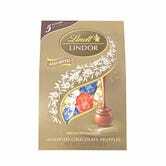 With white, milk, and dark chocolate inside, it’ll be a crowd-pleasing gift. They even have multi-pack options if you need to order in bulk. Note: The discount won’t show up until checkout. Some may think they’re “Etsy’s answer to a straightjacket,” but you can’t deny these mermaid blankets are trendy. 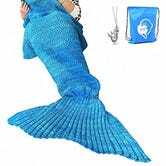 If you or someone on you gift list wants to dive in, you can clip the coupon to get these adult-sized mermaid tail blankets for 15% off, bringing the price to just $16. It looks like the coupon is only valid for the blue one, so your color options are as limited as your mobility will be while wearing it. If you’ve ever thought about pulling out your blender to make a smoothie, sauce, or dip, and then held off because you didn’t want to clean 12,537 different parts, this deal is for you. A highly rated OXA hand blender is $10 off, and comes with a variety of attachments. The big advantage here is that unlike a traditional blender, you can dip a hand blender into whatever container you were already using to hold your ingredients; be it a single-serve cup or a huge mixing bowl. That saves you time, and means fewer dishes to clean up once you’re done. 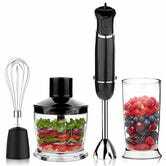 This one though also comes with a whisk attachment, and even a food processor bowl that plugs right into the end of the blender, and includes its own set of food chopping blades. 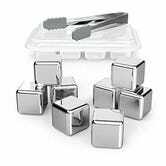 Give the gift of non-watered down whiskey with these discounted stainless steel reusable ice cubes. Normally $15, you can take these home for just $10 with code KINJAW2E. This set comes with tongs and a tray, and they make great stocking stuffers. Cheers! Update: This jumped to $20 earlier today, but now it’s down to just $8! 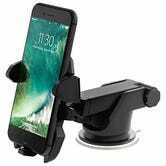 While suction cup-based smartphone car mounts have been largely supplanted by magnetic solutions, the iOttie One Touch 2 is a fantastic option for anyone who doesn’t want to block a vent or use a case with their phone. If that sounds like you, speed over to Amazon to get it for $12, an all-time low. We’ve seen some deals in the past on Uber gift cards, but if you prefer to spend your money with the somewhat-less-evil Lyft, you can score a $50 card for just $45 right now from Amazon with promo code LYFT5. 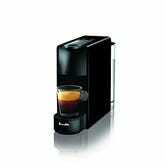 Even if you don’t use it yourself, this would make a nice gift. 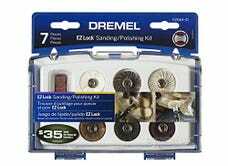 Thousands of our readers have bought Dremels over the years, but if you need some new accessories to tackle a specific job, or if the sanding attachments that yours came with are starting to wear down, these official Dremel accessory kits are all on sale today. $20 Cash Back/2,000 Points with $20 purchase at eBags.com with Chase Pay and Chase Freedom/Freedom Unlimited/Sapphire Preferred Card. Details here. Similar to the special Walmart and Best Buy Chase Pay promotions we shared a few weeks ago, you can now get 2,000 Chase points (worth $20 in cash back at a bare minimum) when you spend $20 at eBags and use Chase Pay to check out. Terms and conditions here and here. At a base level, if you find something for around $20—like this TRTL travel pillow, or these packing cubes—and use this promotion, you’ll almost be getting your purchase for free. Update: Get FREE ShopRunner shipping for two years through this link. But if you have either a Sapphire Preferred or Sapphire Reserve card, the points you earn from this promotion can be used for travel rather than cash back, meaning they could be worth a lot more than $20. For example the Sapphire Reserve allows you to book travel directly at a rate of 1.5 cents per point, making this promotion worth a minimum of $30 in travel. And if you find a really good partner redemption (like I did for my trip to Hawaii), it could be worth a lot more. Just be sure to hit the Chase Pay button at checkout, and use either a Chase Freedom, a Freedom Unlimited, or a Sapphire Preferred card to pay. It doesn’t appear that the Sapphire Reserve is eligible, though once you get the points, you can transfer them into your Reserve account for travel redemption purposes. 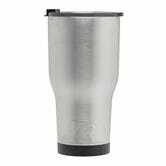 RTIC’s top-selling 30 ounce vacuum insulated tumbler just got a design refresh, and the new model is down to an all-time low $8 on Amazon right now. I don’t think I’ve ever met someone who didn’t love these things, so it’d make a great little gift. 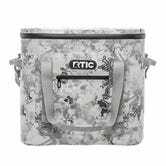 RTIC also makes our readers’ favorite coolers, and all three sizes are on sale for about $18-$25 less than usual, in a variety of new colorways. 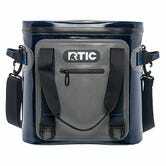 I have the 20-can model, and yes, it really does keep ice frozen for days on end. Only luddites use tape measures anymore. 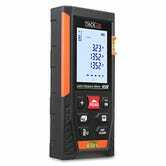 This laser distance measurer takes instant distance readings of up to 131', and includes several built-in area calculation functions, in case you’re a little rusty on your middle school geometry.